The smart easyHotel Den Haag City Centre is situated in the heart of the Hague, just a short walk from the Peace Palace. The air-conditioned rooms are decorated in a modern style and feature free wifi and private bathroom facilities. The hotel also has vending machines where you can purchase drinks and snacks. The hotel does not accept any cash room payments, guests are required to pay by card for any extra's. 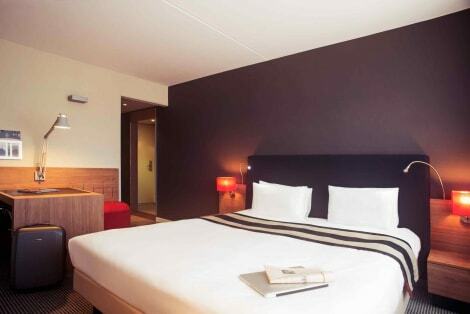 Explore the beautiful city of The Hague and relax at the comfortable space of Mercure. Mercure Hotel Den Haag Central is located in the vibrant heart of The Hague and is easily accessible by car and public transport. The hotel is within walking distance of several ministries, the bustling shopping centre, many theatres and the beach is just 15 minutes away. We have 159 stylish rooms and a cosy bar where you can grab a bite to eat. Our hotel is also the perfect place to organize your meetings. Choose the Crowne Plaza Den Haag-Promenade to recharge your battery during a spa retreat or cultural visit in the poilitical capital of the Netherlands Receive a warm welcome at Crowne Plaza Den Haag-Promenade. Our multilingual Front Desk staff are ready to usher you to board meetings or banquets for up to 1200 in our expansive Conference Centre, or you can speak to the dedicated Concierge about discovering The Hague's outstanding museums and galleries. You'll find that it's a stay worth celebrating. It's 40 minutes' drive from Amsterdam Airport Schiphol and 30 minutes from Rotterdam The Hague Airport to Crowne Plaza Den Haag-Promenade, nestled in the lush Van Stolk Park between The Hague city centre and Scheveningen's sandy beaches. The Crowne Plaza has opened the Promenade HealthClub & Spa, where you can relax in the sauna have a massage, work out in the Fitness Center or take a dive in the swimming pool. You can leave your vehicle in our spacious car park. Meet informally with colleagues on the terrace of our intimate Brasserie Brut , where chefs create new and innovative dishes to match the season. Your cocktail glows at the color-changing bar, decorated in sleek marble and white. The Crowne Meetings Director is your ally for successful business and events at Crowne Plaza Den Haag-Promenade, where we're confident we'll take care of all the details. 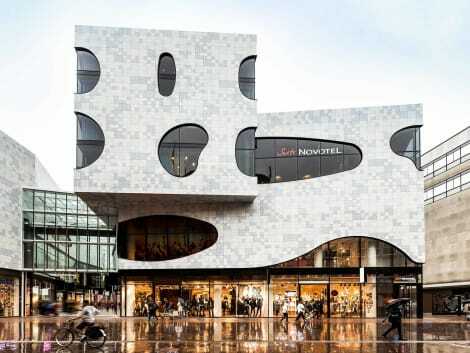 Located in The Hague, NH Den Haag is within a 10-minute drive of Huis ten Bosch Palace and Escher Museum. This 4-star hotel is 1.8 mi (2.9 km) from Binnenhof and 2.1 mi (3.3 km) from Panorama Mesdag. A stylish hotel in The Hague with WiFi and breakfast included Holiday Inn Express® The Hague – Parliament is very well connected: it is less than half an hour by train from Rotterdam, The Hague Airport and Schiphol International Airport, a 10-minute walk from Central Station and a 20-minute tram ride from The World Forum Convention Centre. Situated right at the heart of the Dutch Government, the hotel’s location is unbeatable. The Binnenhof Parliament buildings, famous Escher Museum and Mauritshuis art museum are only a few steps away so it couldn’t be easier to enjoy their famous drawings, infinite staircases and spectacular buildings. The hotel's light and spacious boardroom is the ideal setting to host meetings for up to 8 people. At this hotel you can enjoy: - Free WiFi throughout the hotel - A Business Centre - On-site underground parking -Express Start Breakfast buffet included After a long day of meetings or sightseeing, the modern lobby lounge is the perfect place to chat with friends and colleagues over a glass of wine or cold beers from the Express Café and Bar. You’re sure to have a good night’s sleep in our quiet, comfortable, air-conditioned rooms after choosing your own style of pillow from our selection. 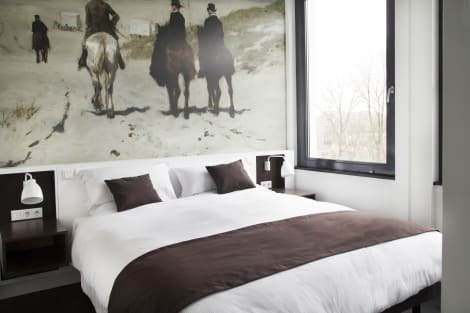 The modern B-aparthotel Kennedy is situated in The Hague within walking distance of the Gemeente Museum, the Peace Palace and the World Forum and 60 km from Amsterdam. Its sleek interior features a fitness centre and guests can hire a PlayStation 4 at an additional cost. 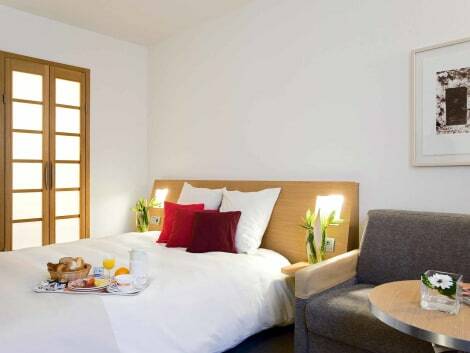 Rooms are decorated in a modern style and feature flat-screen TVs, fridges, and kettles. Make yourself at home in one of the 152 guestrooms featuring minibars. Rooms have private balconies. Complimentary wireless Internet access is available to keep you connected. Conveniences include phones, as well as safes and desks. 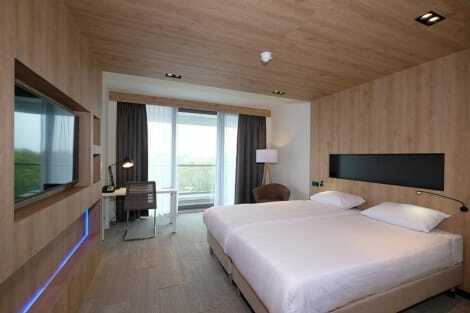 This lovely Hotel is situated in The Hague. The accommodation consists of 49 rooms. 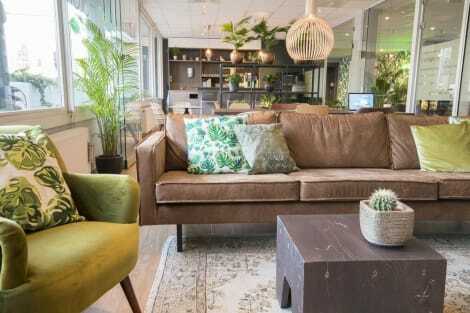 Travellers can make good use of the wireless internet connection available at the public areas of the accommodation. Stayokay Den Haag offers 24-hour reception for guests' convenience. Patrons will not be bothered during their stay, as this is not a pet-friendly property. You will quickly feel at home at ibis. 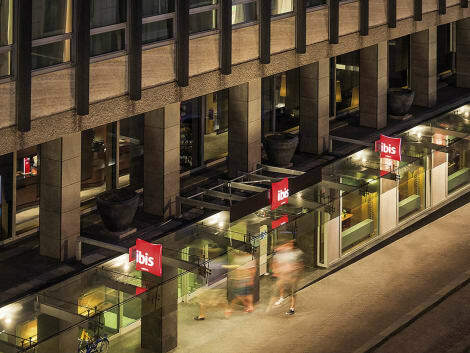 Ibis Den Haag City Centre is located in the heart of The Hague's city centre. 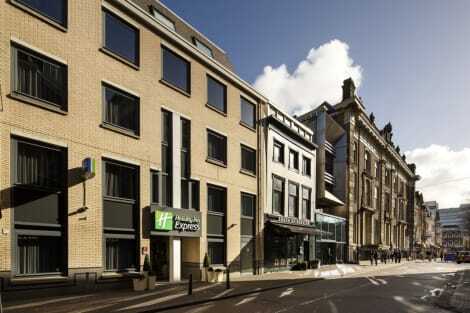 Book a comfortable stay and explore The Hague, which has been named the best city centre in the Netherlands. Visit small craft shops, beautiful squares, music venues, nightlife locations and prominent museums such as the Royal Picture Gallery Mauritshuis or the Escher Museum. Children will enjoy a trip to Madurodam. Just want to relax? The beach is only 10 minutes by tram or car. Enjoy recreation amenities such as bicycles to rent or take in the view from a garden. Additional features at this Art Deco hotel include complimentary wireless Internet access and a fireplace in the lobby. 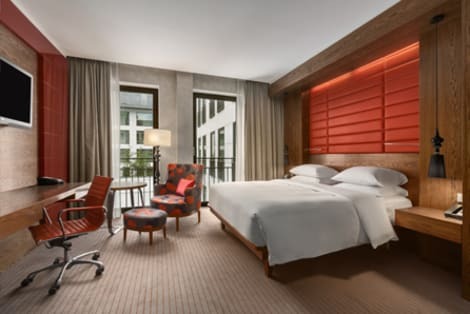 With a stay at The Hague Marriott Hotel, you'll be centrally located in The Hague, steps from Omniversum and within a 5-minute walk of World Forum Convention Centre. This 4-star hotel is 0.2 mi (0.4 km) from Museon and 0.3 mi (0.4 km) from Gemeentemuseum. lastminute.com has a fantastic range of hotels in The Hague, with everything from cheap hotels to luxurious five star accommodation available. We like to live up to our last minute name so remember you can book any one of our excellent The Hague hotels up until midnight and stay the same night.